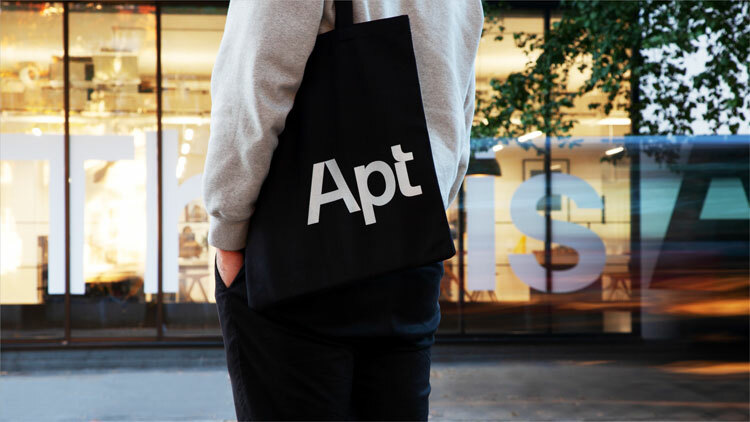 The new name Apt comes as the company moves to an employee ownership structure and aims to reflect the firm’s new ethos and purpose. 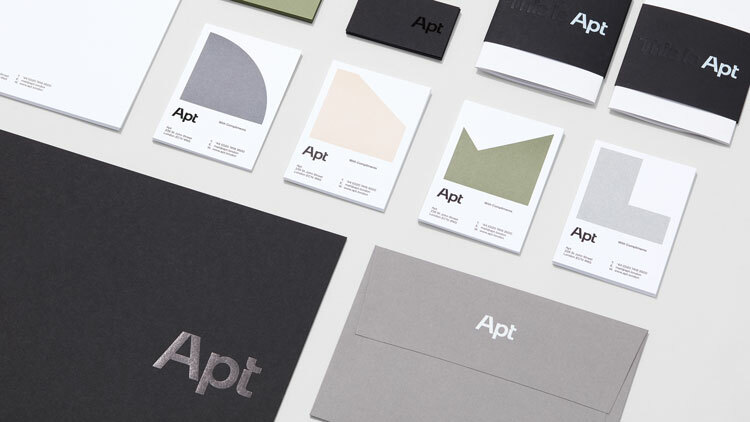 Design studio Greenspace has completed a rebrand for London-based architectural practice Robin Partington & Partners, changing its name to Apt. 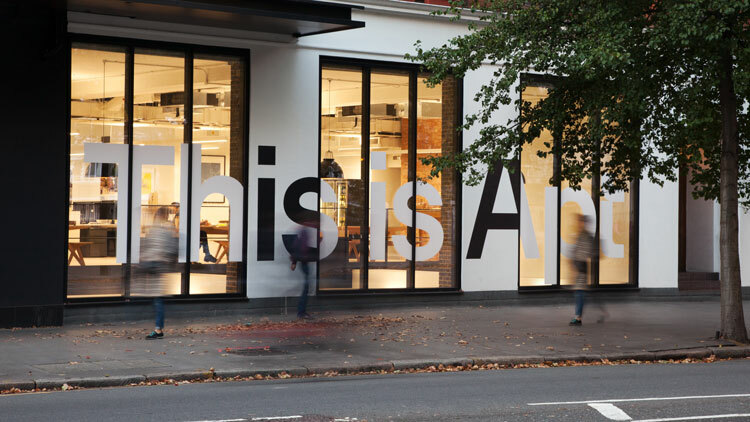 The architectural firm, which is known for a series of major projects such as remodelling the grade-II listed Kings Library in Chelsea and One New Street Square, needed a rebrand as it was undergoing changes including taking on a new business structure of employee ownership, according to Greenspace. 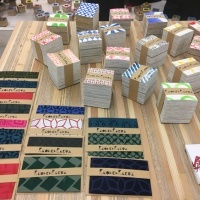 It has also recently moved to a new studio in “the heart of the design district” in Clerkenwell, East London. 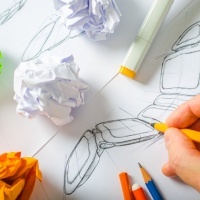 The project includes a new name, which aims to reflect the shift in the company’s positioning. 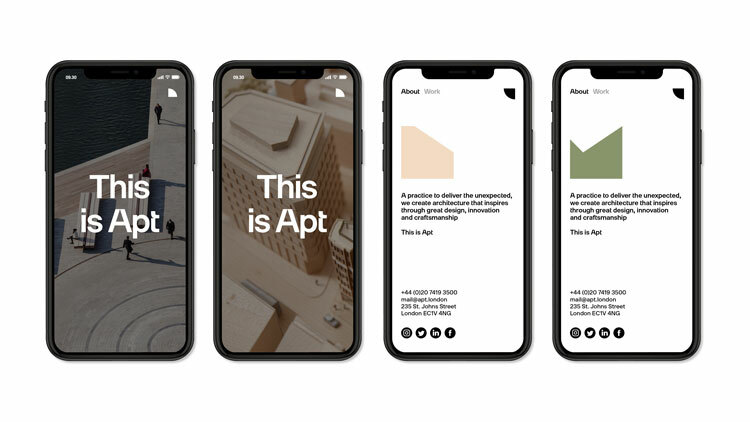 Luke Mcilveen, senior designer at Greenspace, says they were keen for the new name to reflect a more “collaborative environment” at the firm. Mcilveen says the new name also provides “a nice tone of voice”, for example, when used on hoardings wrapped around buildings. “When the studio had its opening night the whole front of the building had a vinyl on it which said ‘This is Apt’,” he says. Other elements created by Greenspace include a new visual identity, a bespoke typeface, an interim website and marketing materials such as stationery, a brochure and a brand film. 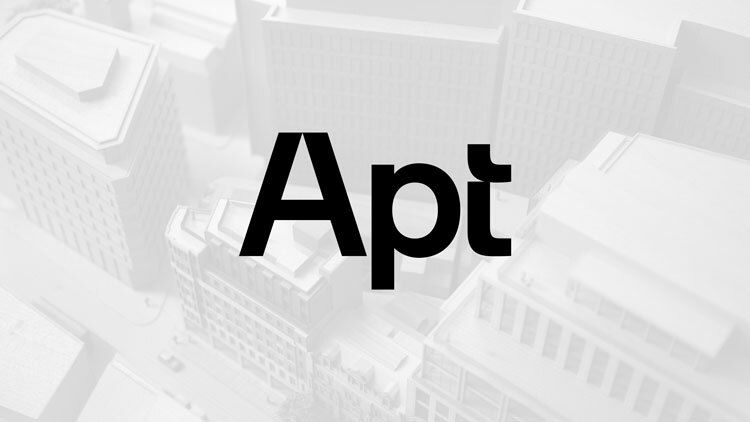 The studio has opted for a wordmark logo influenced by “distinctive architectural details and gestural mark making”, which says “Apt”. 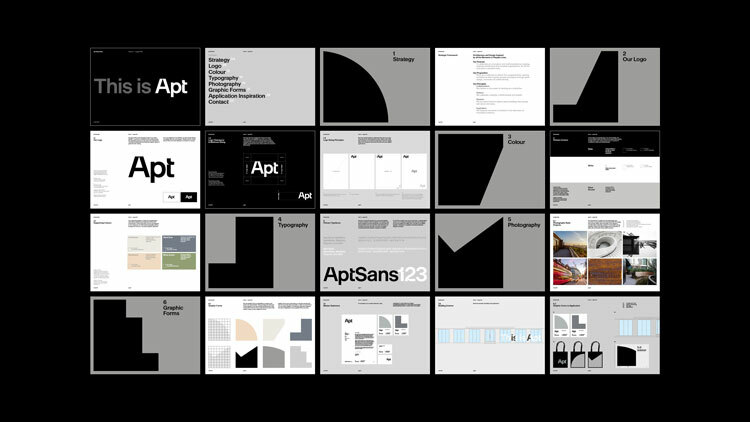 The same features have informed the new sans-serif typeface “Apt Sans”, which features flat horizontal lines and cut-out segments in some of the letter forms. 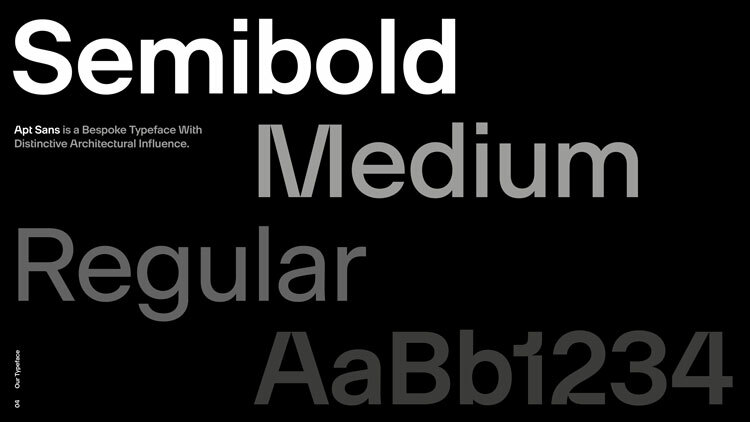 It has been developed alongside Swiss foundry Fatype. The colour palette includes multiple shades of grey, as well as green and beige, inspired by the built environment and architecture. Mcilveen says the colour palette is based on “textures and tones found within architecture in terms of materiality”. 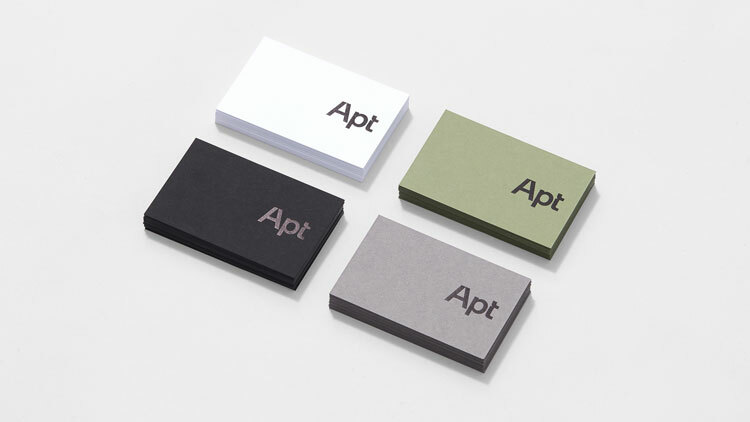 Abstract geometric graphic shapes appear on some materials, such as the business cards. 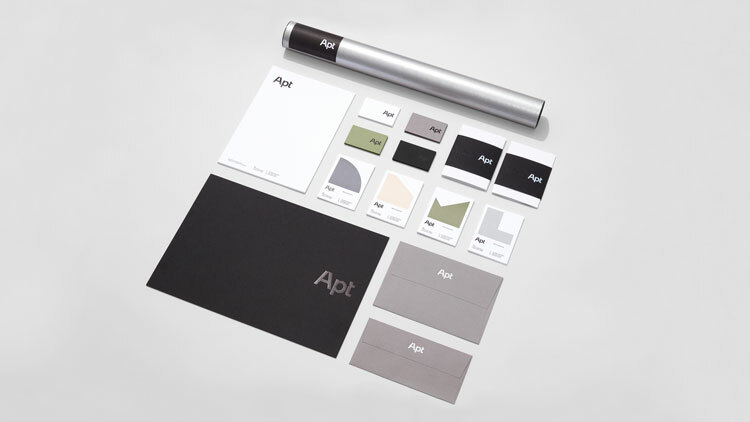 The new brand identity is currently rolling out across all touchpoints.